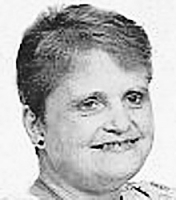 (News story) Jeanne M. Prater, a persuasive and likable Blade advertising sales representative who secured new business for the newspaper and, as a supervisor, paired sales staff with compatible customers, died Sunday in her Maumee home. She was 61. She had breast cancer, first discovered in 2007. Treatment and then remission followed. She and her husband, Ron Prater, moved to South Carolina after she retired in 2014. Cancer was found again in January, 2017. She returned to the Toledo area to be near her sisters and her friends from The Blade, her son Danny said. During a summer, 1980, advertising internship at The Blade, Mrs. Prater filled in for sales representatives on vacation. The Blade hired her that fall. To start, her duties were split between local display sales and advertising services, where she was a copy clerk. “She fell in love with the romance of the newspaper business, and she knew it was going to be a great opportunity,” her husband said. She became a full-time sales representative in 1985, Blade records show. She was named an outside classified supervisor in 1993, and in 1996 a retail advertising supervisor. She returned to the sales force in 2005 as an outside retail sales representative. “Jeanne developed the entire east side of Toledo into Blade customers and expanded it out,” said Ron Shnider, a Blade advertising consultant. “She developed accounts in Perrysburg, Rossford. There was a new source of revenue for us. She served on union subcommittees working to develop an equitable commission plan, and she advised news union members, said Jeff Hojnacki, a former treasurer of the Toledo Newspaper Guild. For about two years in retirement, she was a sales assistant at the Myrtle Beach Sun News. She liked to play golf, and she liked to watch NASCAR events. She was born May 8, 1957, to Veronica and John Taylor. She grew up in South Toledo and was a graduate of the former McAuley High School. Surviving are her husband, Ron, whom she married Oct. 16, 1982; sons, Russell “Rusty” and Danny Prater; brothers, Michael, Jim, and Tom Taylor, and sisters, Kathy Taylor and Mary Ellen Taylor. A gathering to celebrate her life will be from 3-7 p.m. Thursday at the Elks Lodge in Maumee. Funeral services will be at 10 a.m. Friday in St. Joseph Church, Maumee. The family suggests tributes to the Susan G. Komen Foundation or the American Diabetes Association . This is a news story by Mark Zaborney. Contact him at mzaborney@theblade.com or 419-724-6182. 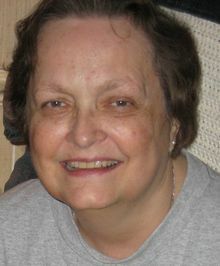 Treva Ann “Pete” Bowman, age 54, of Toledo, passed away Tuesday, August 9, 2005, at Hospice of Northwest Ohio, Toledo. She was born to the late Owen and Clara Moore on March 26, 1951. At an early age, Treva was baptized into the Church of God in Christ. In 1995, Treva joined Upton United Methodist Church, where she was a faithful member of the choir and head usher until her health began to deteriorate. Treva loved to read and discover new adventures. As a young girl, she excelled in academics. This was evident by her ability to obtain her bachelor’s and master’s degrees, both from the University of Toledo. She was employed as a teacher and administrator for Toledo Public Schools for over twenty-five years. Her last position was as a curriculum specialist for the Waite High School Learning Community. Although Treva experienced many victories, she was most proud when Vallie was elected to the position of Toledo Municipal Clerk of Court. Precious memories will remain with her loving children, daughter, Vallie (Ian) Bowman-English of Toledo; son, Albert Reese (Desirae) Bowman of Columbus; grandchildren, Armon Bowman, Ian English II, Aaron Johnson Jr., Jerrod Hunter, Denise Hunter, and Ja’Lisa Golliday; special son, Wayne (Jeanelle) Golliday of Toledo; four sisters, Johnetta (James) Gant of Toledo, Naomi Hodges of Snellville, GA, Dr. Sheila (Bishop G.F.) Austin of Montgomery, AL, Vicki (Ronald) Trail of Columbia, TN, and one brother, Owen Moore Jr. of Toledo; nieces, Kobi, Clara, and Myriah; nephews, Derrick, Jim, Robbie, Joshua, Justin, Doug, Owen III, Martell, Chaunce, Jonte’, and Luther III, and special great nephew, Jaiden. The family will receive guests on Saturday, August 13, 2005, at the Upton United Methodist Church, 3611 Upton Ave., Toledo, OH, from 10:00 a.m. until the funeral service begins at 11:00 a.m. Pastor Dr. Pat McKinstry will be officiating. A special thanks to her pastor and sister, Pastor Dr. Pat McKinstry and Luther McKinstry II, and to Treva’s personal attendant, Ethel Penamon. The family requests that those wishing to express monetary donations are asked to consider the Upton United Methodist Church. 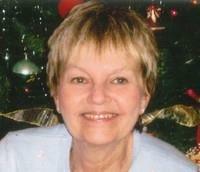 Kathleen Steinert, age 65 of Monroe, died at 12:41 a.m. Monday, October 24th in her home. Family and friends may visit from 1 p.m. to 7 p.m. Friday at Rupp Funeral Home. Cremation will follow in accordance with her wishes. Born October 23, 1951 in Toledo, Ohio, she was the daughter of the late John and Evelyn (Rybka) Mustafaga. She married Richard P. Steinert on July 14, 1982 in Las Vegas, Nevada. He preceded her in death on October 25, 2014. 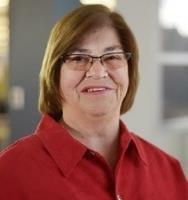 Kathleen was employed as an X-ray Technologist for over twenty years at Mercy Memorial Hospital before retiring in 2004. She attended the University of Toledo and enjoyed traveling, scrapbooking, photography, and had a fondness of animals. Kathleen is survived by a daughter, Sara (Shane) Gorski of Bloomfield Hills, Michigan; three brothers, Matt Mustafaga of Aiea, Hawaii, Larry (Amy) Mustafaga of Canton, Ohio, and Mike (Ellen Beauchamp) Mustafaga of Seattle, Washington. In addition to her parents and husband, she was also preceded in death by a sister, Lois Celestino. Memorial donations may be made to the Humane Society of Monroe County. Online condolences to the family can be sent through www.ruppfuneralhomeinc.com. Marguerite Mary King “Margie” was the daughter of Herman and Rose Gray and sister, to Susan Metzger. She is survived by her daughter, Candice King, grandson Elijah Speller, sister, Susie, nephew, Michael Metzger and cousins, Barbara and Marcia Przybylski. Margie graduated from McAuley High School in 1967, attended beauty school and was a hair stylist from 1968 to 2013. She was loved by her clients and co-workers, who remember her unforgettable laugh and forever positive attitude.Upon her retirement Margie became a full-time ‘Busia’ to Elijah. Helping her daughter raise Elijah was one of her greatest joys. She loved all her dog family and took great care of Marley the deaf dog that only Margie could care for, she was passionate about the ASPCA and the Lucas County Pit Crew.Margie was an extraordinary sister to Susie and sister-in-law to Daniel.Margie put everyone before herself, was always caring, selfless and compassionate. 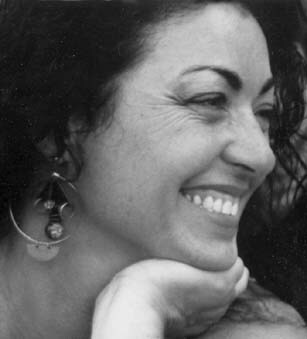 Our hearts are broken at her sudden departure.